A German documentary about initiatives in Berlin fighting against unreasonable rent increases and evictions. 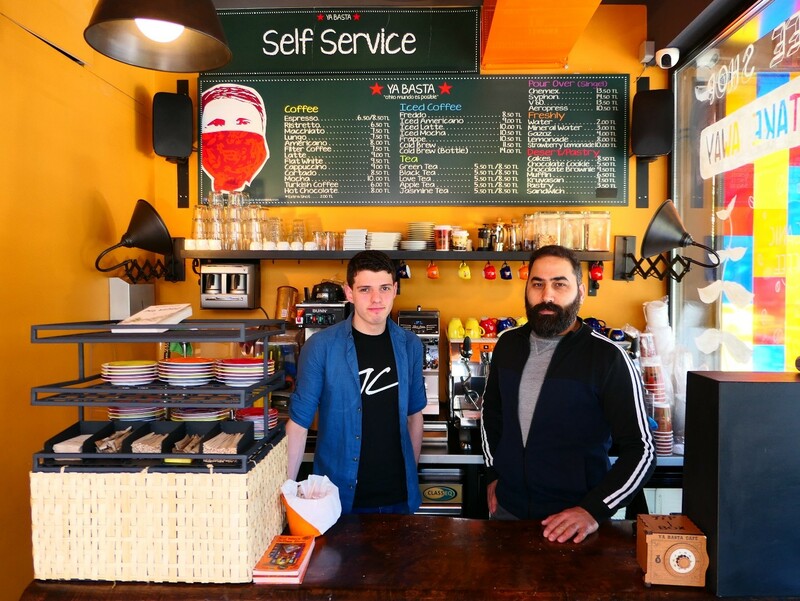 Berlin is famous to all of us for being a city of the creative, the young, and the hedonists, where you can have a good life with relatively low income. The city has been in decline for decades due to the separation, thus offering plenty of cheap apartments. However, in the last decade, the real estate market became more dynamic with rising prices and due to rent legislations often extremely quick. Vacancy rates dropped from 4% in the early 2000s to only 1,7% today (according to the director at urbanize festival in Vienna on Oct. 12th 2014), limiting the ability for renters to move easily from one apartment to the other. Evictions are happening on a daily basis, as real estate developers are raising rents to clear buildings of their long-time tenants in order to re-rent the apartments for a higher price. 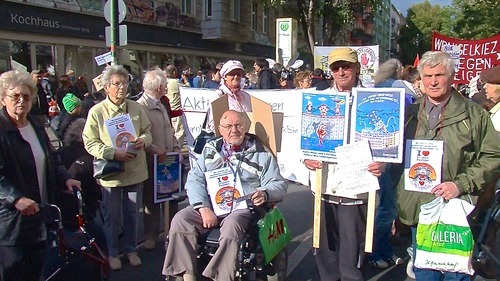 In a city with an average income of 1650 Euros monthly and roughly 17% are living of welfare benefits, rent increases of sometimes 100% are posing a severe danger to social security in the city, as many people are in danger of becoming homeless, sparking widespread protest among citizens. 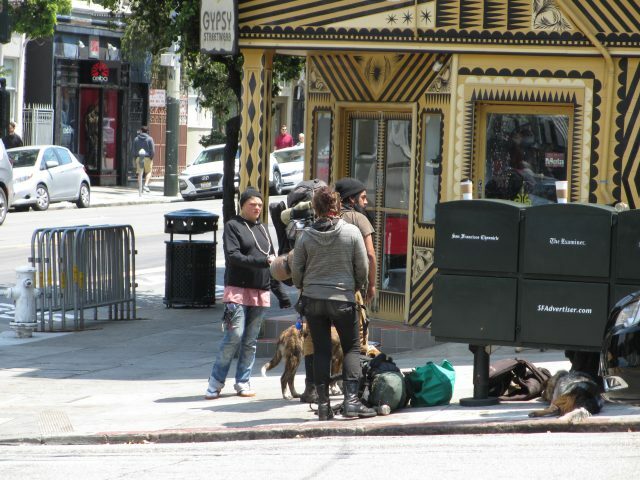 ‘Mietrebellen’ is focusing on these citizens forming initiatives to fight against exorbitant rents and evictions. About 17 of such initiatives are mentioned in the documentary and accompanied to their rallys, their meetings and their actions. One of the biggest strengths of this documentary is the depiction of the big diversity of these citizen’s initiatives: its is not any more a problem that concerns solely poor citizens but increasingly middle class households. 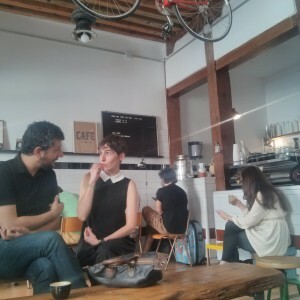 The changes of diversity within the initiatives are also reflected in the documentary. From Turkish women’s initiative (‘Kotti & Co’) at Kottbusser Tor protesting successfully against rent increases by marching and occupying, to the initiative ‘Bündnis Zwangsräumungen verhindern’ (‘Organisation Prevent Eviction’). They are accompanied to several rallys against evictions and protest marches, reflecting the increasing struggle of residents to stay in their apartments. 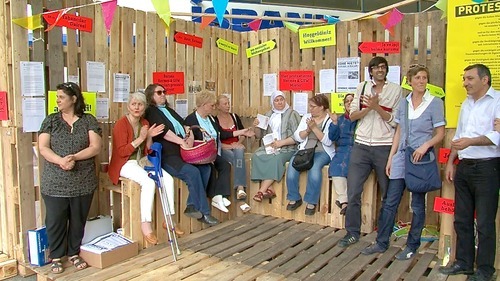 Worth mentioning are as well two initiatives of seniors, who respond to the threat of eviction by occupying and protesting loud and active despite their age- related constraints (‘Palisaden‘- initiative, see picture below). Statements collected mostly come from individuals threatened by evictions and protesters, thus the documentary provides very original statements. Shifting the focus away from politicians gives people that are normally underrepresented in the discourse lots of space to articulate their concerns and their situation. Rather abstract topics like housing shortage and rent increase are well depicted and getting a face in this documentary. The complexity of the housing problem is broken down to personal stories. However, the narrative hardly slips into the sensational despite the rather emotional topic and the even more emotional statements collected throughout the documentary. Besides social aspects, ‘Mietrebellen’ also shows a geographical dimension that has not often been addressed in other documentaries or reportages. The discourse especially in German media focused mostly on the effects on inner-city districts, where the problem is most prevalent. Schulte Westenberg and Coers look as well at more peripheral neighborhoods of Berlin, which are affected as well by the displacement of inner-city residents, but in their very own way. 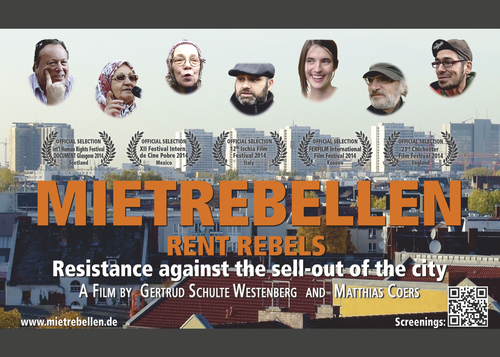 ‘Mietrebellen’ is an excellent documentary on issues arising from rent increases, helpless politicians, strong civic engagement and truly inspiring self-organisation and dedication in an unequal struggle on living space in Berlin. It is a must-see for all urban researchers and everyone facing problems with rent or displacement. Thanks to its non-sensational narrative and the portrayal of diversity of individuals within the movements included in the documentary, we give ‘Mietrebellen’ an excellent rating of 4,5 skyscrapers. Informations on screenings are available on the homepage of ‘Mietrebellen’, both in German and English. The documentary is in German with English subtitles.